Radio Shack answering machine messages « Adafruit Industries – Makers, hackers, artists, designers and engineers! 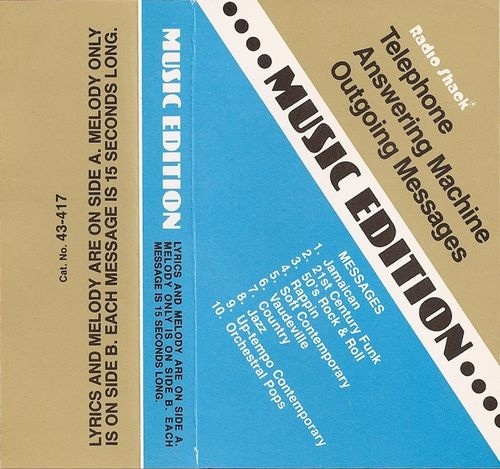 RadioShack used to make pre-recorded answering machine messages, and they’re awesome – We just changed our voice mail message to the one at 1:45 of cassette side A. The Elvis-sounding one is rather awesome. The Bot is also interesting. Well, Monthy Python had also collection of messages for answering machines.